MBA (Master of Business Administration) is a master degree programme in business administration. The MBA degree was initiated in the late 19th century in the USA. The MBA degree has been started to produce the sound management professional equip with the basic and advanced knowledge to stand the business administration. Today, the world is growing in the fields of marketing, industrialization, financing and education. The MBA programme has specially been designed for the candidates who are executing the administration of the industries or related field. The degree programme in Business Administration or Business Management is one of the most jobs provider educational degree course in the world. In India and abroad, there are various multinational companies, which are offering job for the MBA/MBM degree holders. Get Latest Career Notification about MBA Courses, by entering your details below. Have you completed your graduation? If yes then go ahead.For the admission in an MBA programme, many institutions require the GMAT 2019 (Graduate Management Admission Test) score. But, entrance test is not required for the admission to the distance learning or Online. The MBA is most popular and well-known courses among the students. It has a vast area of specializations. Many colleges and Universities are offering MBA programme as full-time and part-time or through online or distance learning education. An exe-MBA (Executive Management of Business Administration) is also popular now. The working professional who wishes to get the higher degree according to his job profile can do the EMBA as part-time or online medium. In India, the accreditation body for MBA or related programme is AICTE (All India Council of Technical Education). There are different accreditation bodies in different countries. Beside these core subjects, the student can go for MBA programme in various specializations, according to the subjects what he had in graduation. The student can choose the MBA programme, as per their choice and has many aspects of learning. The MBA programme can be done through full-time course as well as through part-time medium, dual MBA programme and distance learning education are also conducted by various colleges and universities in India. Whether you have done graduation in engineering, arts, science or humanities, you are free to choose the MBA programme in any specialization, what you wish to. Once you have done your MBA degree, you can go for the doctoral degree programme (PhD), offers by the various institutions in India and Abroad. There are various universities/colleges in India and abroad, that are offering MBA degree programme to the students. The best part of the programme that the graduate in any discipline can get the admission in MBA programme. An MBA professional is in heavy demand by government as well as private sectors. The scope of MBA course is increasing day by day. MBA is one of the big job oriented professional programme and the most one which has been sought by the students. Once you have completed your degree, you have a great job opportunity in the industrial world. You may the manager or executive in term of designation. The management term is most suited to the managers and that’s why it is the way, where you can reach on the top of the height as soon as possible by using your leadership and working proficiency. An MBA professional always plays a vital role in his/her company and this is why, he used to keep in touch with the board of directors. No need to specify the companies who recruit the MBA professionals. The all sectors including government and public have various industries, companies, institutions or related organizations, come in the job prospective fields for an MBA professional. “Handsome salary packages are offered to MBA qualified candidates”. The initial package in India is around Rs. 2 to 3 lakh per annum but the maximum is unlimited. Also the increment in this sector is quiet good and depending on your capability, you can reach up to six figure income in quick span of time. For any other queries related to Career in MBA, you can leave your queries below. Yes, you can apply for MBA. Sir I just compleated B.A geography hons. From DU. So which course shall i obtain in MBA. Thank you n it’s a Very good usefulguidance to each and every St. Please tell me the courses or studies Before MBA ..
Sir.. I want to do MBA after my graduation… So which MBA field is suitable for me..
i have my completed my graduation in BCA now..which specialization in mba will be suitable for me? Sir i have completed my graduation as mechanical engineer which mba feild will be good option for me. can This MBA is possible after +2science career????? if possible then what can i do for this ?? MBA is possible only after UG degree. Can do MBA in Biotechnology Management. Sir,I will complete my post graduation in English in few months. But i want to take admission in m.b.a so what i have to do for this please give me some advice regarding m.b.a .
I’m presently in 12th standard , biology stream . I wish to do MBA as it has lot of career options but which courses are preferable before MBA for me ? Sir , can I do mba IT after completing my Bsc CS & what is the scope of mba IT?? Sir..I am studying B.sc and I wanted to study MBA ..so, Can you suggest me which specialization should i take in MBA for job?? You can opt any specialization as per your interest. Some trending specializations are HR, Marketing, Finance, IT, operations, etc. Sir can you please tell me the name of the book that would be best suitable and to be preferred for cet preparation for IP university ..! I m in search of the best book to go for ? Sir, Recently I have completed my B.tech and I am not got campus placement. I am trying to get job in banking sector also I want to for MBA. Please guide me in this matter. How I get entrance for MBA and which institute is batter for CAT exams? I hv completed my H.S in commerce and I don’t want to do B.Com and M.Com. without doing this can I go for MBA course? Sir I need this ans plzz ans me. Yes you can direct apply for Integrated MBA of 5 year duration. Why don’t you like science?? I’m a commerce student and it is very easy for me to go into MBA but I’m badly interested in Science…But I CAN’T. Why don’t you like Science?? Sir, I recently done my graduation in Hotel Management. Now I plan to do MBA in HR. Is it a right choice for me or Is their any scope in future ?? please suggest me what is right.. I will be pursuing BCA…After that I planned to take admission for MBA. ..Is there any entrance to take admission for MBA. . Yes, there are CAT, MAT, CMAT. Sir. What is the minimum percentage % required to pursue MBA? Choose according to your interest. Both courses are best. I had completed my B.Tech in Electronics and Communication engineering and i want to do MBA. In which field i should do MBA, can you please guide me? You can go for MBA in finance and accounting. I have completed my graduation in B Com Computers now I am persuading MBA. please suggest me which specialisation is good for me. I still pursuing graduation in marketing management from du, i want to know what should i do after graduation, many people told me you should do mba in marketing. Sugest me what should i do after graduation? Hi sir i am pursuing graduation bachelor in retail management b.com vocational.i am last year student , i want to do mba from pu what should i do? yes you can do MBA. I hv done B.Tech in mechanical engineering. Also have approx 2 yr experience in coordination & marketing. Is MBA a good option for my future growth. I have completed my graduation in B.Tech Biotechnology and interested in opting MBA Biotechnology. Please give details about institutes offering this course and the career opportunities after MBA Biotechnology. D Y Patil University School of Management (DYPUSM), Navi Mumbai. Hello , I am a BCA graduate and now I m working with RBS as I didn’t find myself comfortable in IT field and now I want to do MBA with my job. In which field of MBA i should apply and what will be the benefit of that? I m a B.com student. I m interested in Mba , but I didn’t have more information abt many field or what is very important in this modern time. So plz jzz give me what is important nd useful for my bright carrier ? MBA in Finance, Digital Marketing, HR is a good option. Is marketing is better line for me??? As you already have experience in marketing, so going with MBA marketing might be a good option for you. Im about to complete 12th now n in future want to do mba and I’ve decided to do bba after 12th is it a right choice..?? I need some guidance. Yes you can pursue MBA after BBA. SIR..I have complted b.com (computer) recently. now im confused to do mba or not. can i get more opportunities by dong MBA & wich course to take in mba. plz suggest me sir. MBA will give you the opportunity indeed but choose the computer line as IT specialization. Sir I have done my bsc. 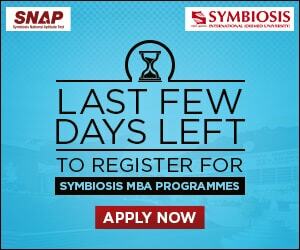 will MBA human resources from symbiosis distance learning be a good option ?? I’m in last year of BE right now. Interested in doing MBA and wants to get a job in international company. Need your suggestion in choosing the field. e-commerce will be best for you as per your banking background. I am doing my bcom from mumbai now i am confused between two carreer options MCA and MBA, what u suggest which is the better option??? both options are good, you should select that course in which you’re interested. I completed BBA in finance and operation research from one of the well known university of gujarat nd now m prsuing in MBA 2nd year. So plzz guid me which is best for future scope? Ib or HR? 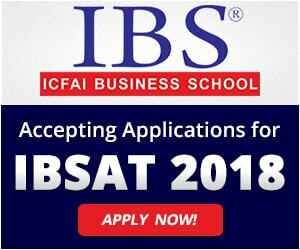 IB indeed because it can give you the opportunity to work in abroad. When should I write entrance exam like MAT and PGCET to get admission in 2016. Also which entrance exams are good to get into best colleges. How do I check If college has placement cells or not? Hello sir …this is Suresh n I’m pursuing my bcom 2nd year gen and secured an avg 70% n meanwhile I’m doing my ca Ipcc …bt I’m in a confused status whether to go with MBA in bschools r distance mba or go with nly CA & CS …PLEASE SUGGEST ME WHAT SHOULD I GO WITH IN ORDER TO REACH GOOD POSITION IN FUTURE …..ur rply values my career ..
you have focus on one thing at a time, first focus on CA…as you’re already doing it, if you’re successful in that than there are various job opportunities in CA, other wise you can pursue MBA full time which is far better than distance. yes it is a good decision. The truth is quality of education has gone down over the past few years, but their are some good colleges from where you can pursue MBA, doing MBA from a reputed college having good placement record is something you should look for. I have completed my B.Tech in electrical engineering. I have interest in doing MBA. Could you please suggest me which specialisation would be best and its scope.. I am more inclined towards finance, HR, Entrepreneurship. Could you please enlighten me on their scopes..
both are good fields, choose anyone of your interest. i have done bscit. will finance be a good option ?? Please suggest..
finance is a good but you have done in IT so why you wish to switch your stream. civil and finance both are different fields. you must do the same field course. it is not advisable. I did bsc in electronics and communication system.Wl finance be a good option for mba.i dont hav commerce knowledge.kindly suggest me with te scope f mba in finance.is te course really tough. Currently iam pursuing my degree in electronics.I am intrested to do mba in finance,HR or banking.among the three wichone wl b bettr and vl finance b tuff .i dont hav good knwledge in commerce. All three related to the commerce field. all three are good but that is true finance is must job oriented and a field of successful career. im in final year of BBA, i wana do MBA in finance or IB i hv not given any exams like cat or gmat. now im only left with the option of MAT exam. i want to knw which collage should i go or target for mat. nd also wana knw abt RAFFLES UNIVERSITY,AT NEEMRANA for mba!! You may target any college for MAT. to know about the university click on the link as NIIT University. Sir,I want to ask you about my careers. I have completed my B.com 5 years ago now i am doing job as an accounts executive in a manufacturing firm. Should I go for MBA or CA. I want to be a good accountant of a reputed firm. Besides you have got the job in an industry, but everyone with to get rid of the sedation of career life. To get the more chance to success you need to update your education. As you are in the accounts field, so you can pick the MBA in Accounts or CA. But CA or CS is growing todays’ global environment. so it will be better for you. You may also get some crash course/ certificate courses in accounts or finance. MBA in finance or IB. Sir, Recently I have completed BBA and can I able to do MBA in pharmacy. Please answer me ..? ?